Situated in Boston's historical Back Bay, Il Decor displays some of the finest European designs, and is a true gem in the eyes of designers and collectors alike. The carefully curated showroom is comprised of award-winning furniture, lighting, and decor. To add to their expertise, Il Decor also boasts fully-customizable kitchens, closets, and wall cabinetry, available upon inquiry. The Reale table is a 1946 design of Carlo Mollino, an award-winning Italian designer, architect and photographer. 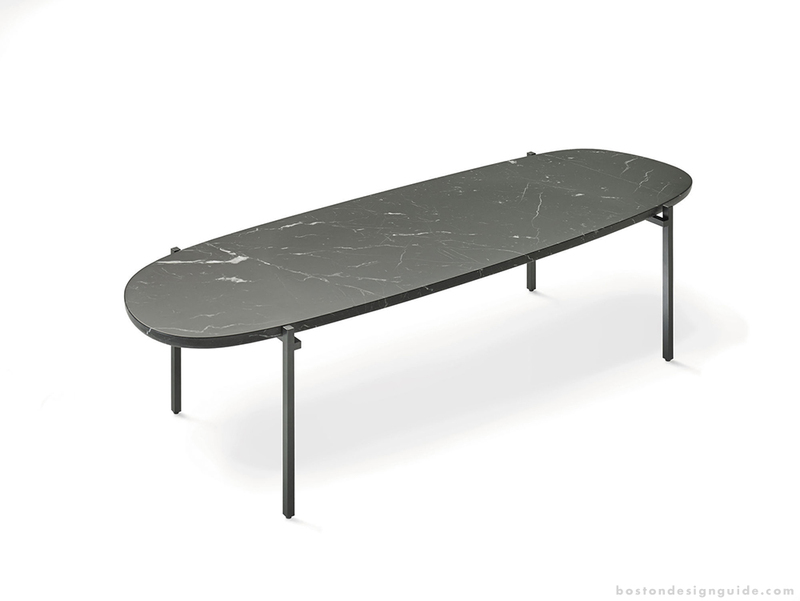 This Bevel-edged table can be customized with a glass top (as shown above), or otherwise with white Carrara, black Marqunia, or Emperador marble. 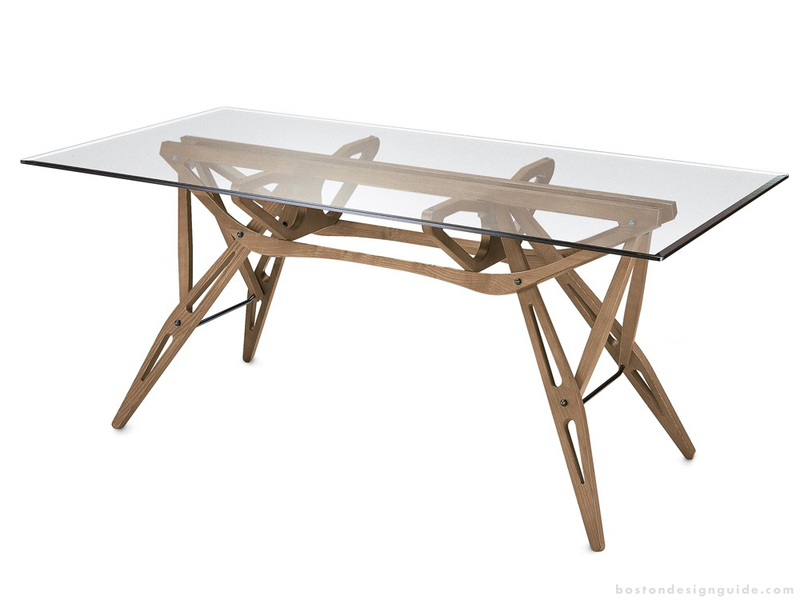 The stylish surface rests upon an intricate frame that comes in natural-, wengé-stained or Canaletto walnut-dyed oak. It can also be painted with an open pore black or white finish. Its sleek design and considerable size makes it a viable option for study or dining use. 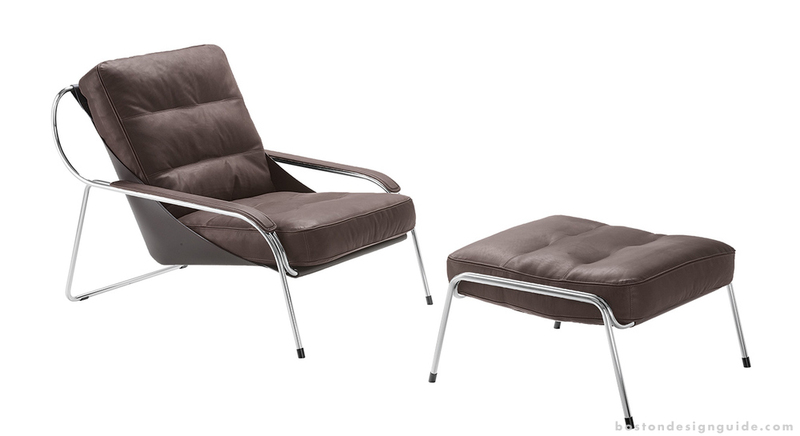 Maggiolina lounge chair and ottoman is an award-winning design by Marco Zanuso for Zanotta. This set features a polished stainless steel frame. The durable polyurethane seat cushion rests in a cowhide sling. The back cushion is made with goose feathers ensuring optimal comfort. Today, the chair is featured in Die Neue Sammlung, a leading design museum located in Munich, Germany. The Portofino sofa is a stylish and sophisticated piece by modern Italian furniture manufacturer Alivar, Italy. This piece can be customized with a leather or fabric upholstery in a wide range of colors and configurations. 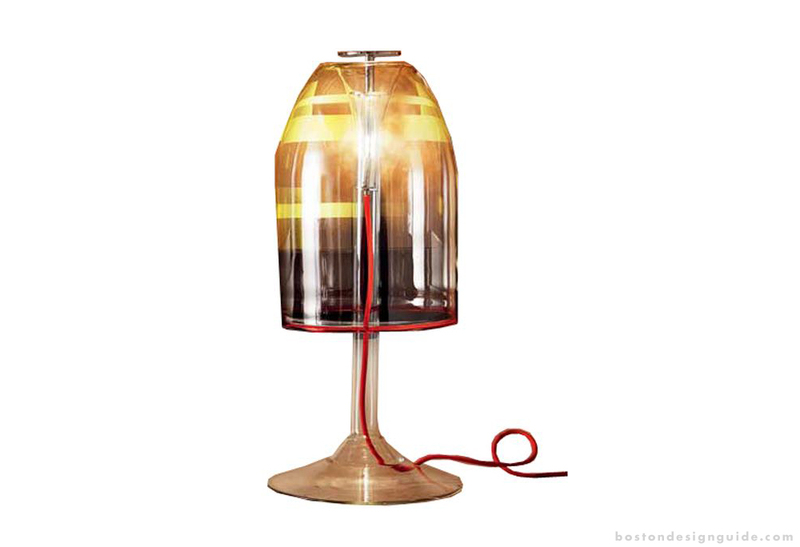 The Mezzadro is a 1957 design by Achille & Pier Giacomo Castiglioni for famed Italian manufacturer Zanotta. 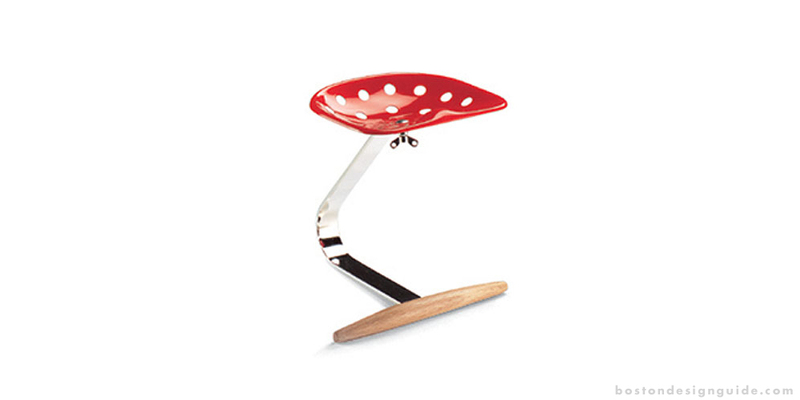 This stool is featured in world-class museums like The Museum of Modern Art in New York and Museo del Design in Milan. A lacquered orange seat rests atop a chromium-plated steel stand, and connects to a steam-treated beech footrest in its natural colour. It is the perfect compromise between muted modern and industrial vintage. The Niobe is a stunning, all new Federica Capitani piece for Zanotta. This small table can be ordered in a variety of premier marbles like White Carrara, black Marquinia or Emperador, and is made stain-resistant with a clear protective varnish. It sits atop a steel frame, painted in black or white shades. A sleek and neutral design makes this piece the perfect candidate for a living room coffee table. The Magda is a design by Studio Kronos for Catellan Italia. 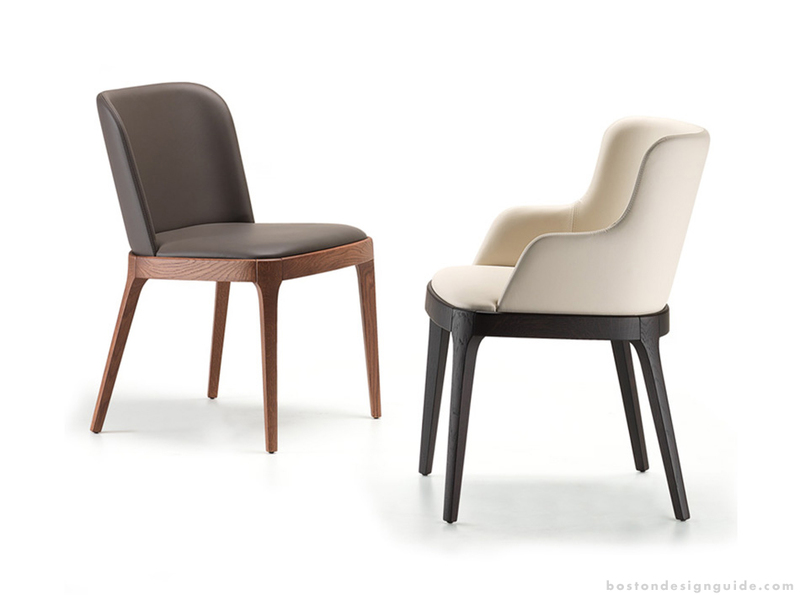 The chair features a low profile wooden frame and legs, making it perfect for small spaces. It can be ordered with or without arms and in various materials and colors. The Prisma is a design by Alessio Bassan for Cattelan Italia. This piece provides any dining room with sophisticated storage and is highly customizable with various finishes. The curvilinear Medusa Lamp is a unique 2014 design of Andrea Lucatello for famed Italian manufacturer, Cattelan Italia. It can be ordered as a table lamp, ceiling pendant, or floor lamp. 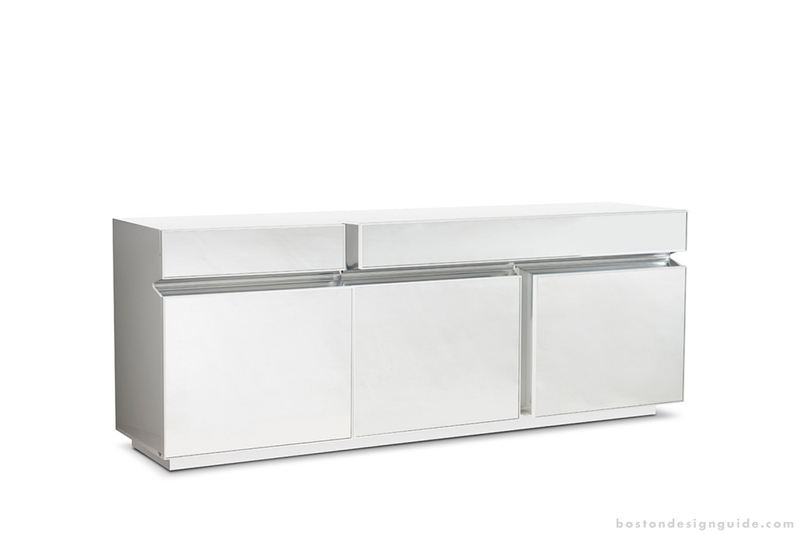 Visit ildecor.com, call (617)508-3443 to arrange a professional in-house consultation, or stop by at 10 St. James Ave, Boston MA 02116 to view the rest of the unique inventory.